SRC Aggregates are investing in the future and embracing the concept of a circular economy whilst using industry’s most advanced equipment. SRC Aggregates, established in 1994 and now owned by Ollie Reece and his cousin Louis Yates are based in Essex but cover the whole of the South East and London. 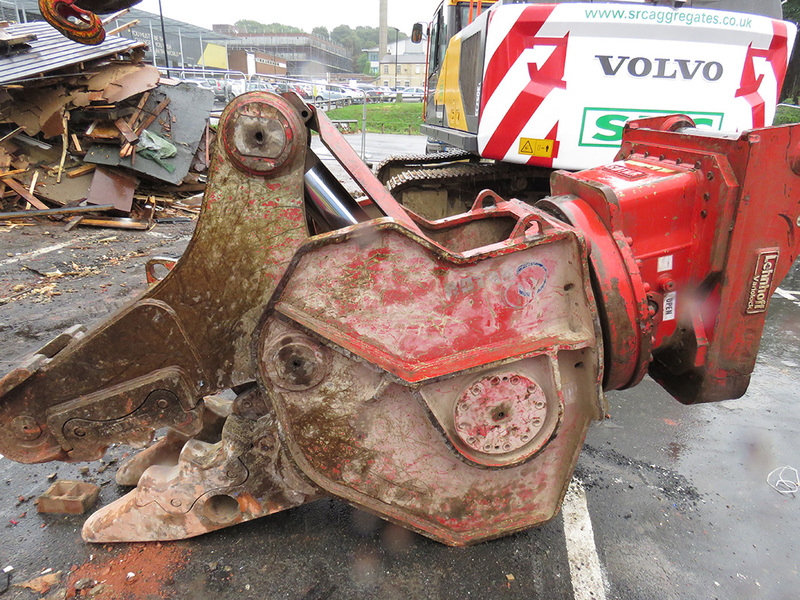 SRC offer a full mix – Quarrying, Demoliiton, Remediation, Recycling and Aggregate Supply. They are a true circular economy from sourcing materials, supplying them, using them, demolishing old and recycling everything they can. 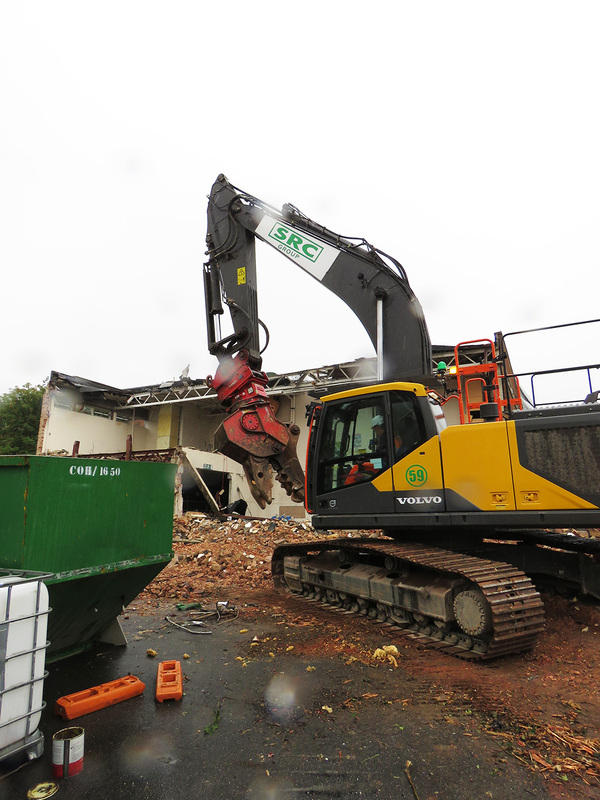 The two excavators working on the company’s demolitions projects – a 25 tonne Volvo EC250 and a 30 tonne, Volvo EC300 – are each equipped with Lehnhoff’s quick couplers and on these they use a range of Rotar demolition attachments including two RG37 Grabs, one RG15 Grab, a RDP 32 Pulveriser and a RSS20 Scrap Shear. 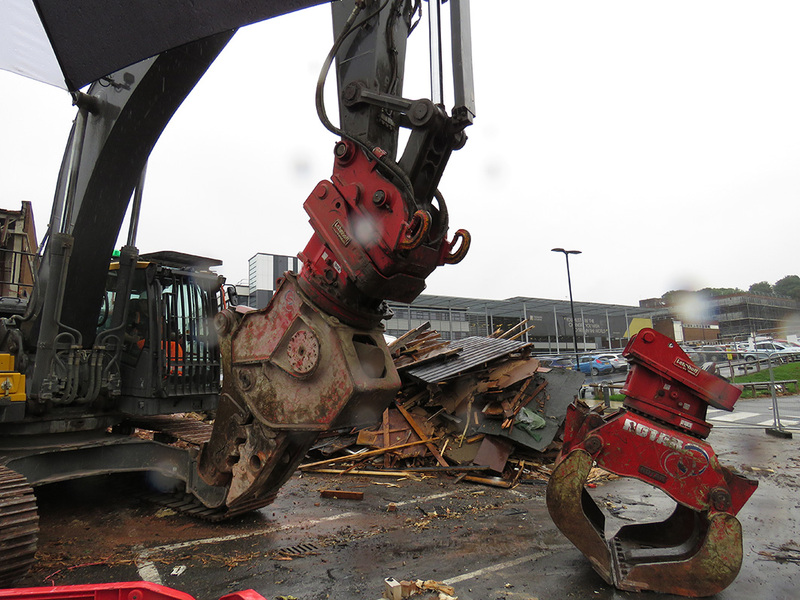 They also have a Dynaset HMAG 900 magnet and two Lehnhoff Buckets. 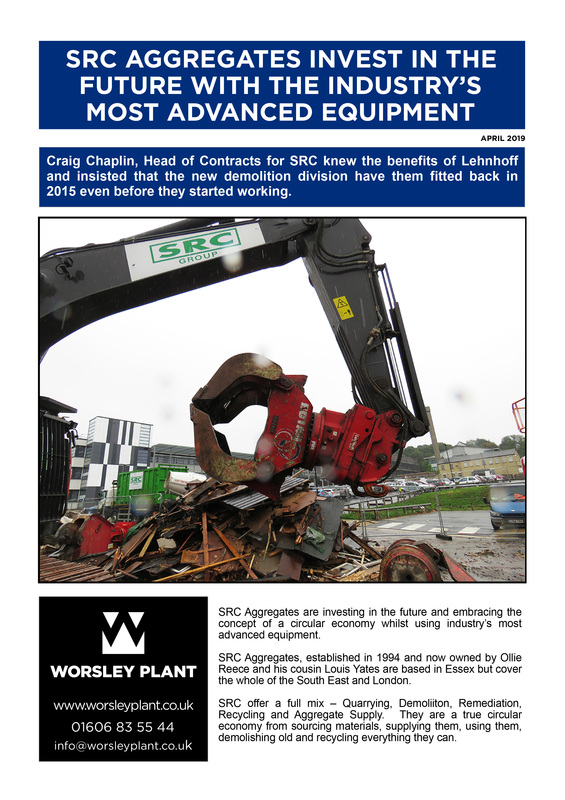 Craig Chaplin, Head of Contracts for SRC knew the benefits of Lehnhoff and insisted that the new demolition division have them fitted back in 2015 even before they started working. He contacted Brian Carroll at Worsley Plant to arrange this. After taking a trip to the Lehnhoff factory in Germany he was extremely impressed with the eye for detail and the build quality. It may be a little more expensive than other quickcouplers on the market but it’s worth it! Established in 1994 SRC Aggregates is an independent, family owned business providing top quality aggregate solutions. They also plan and develop new quarries and agricultural reservoirs across East Anglia, London & Hertfordshire. In addition, they operate state of the art recycling equipment, specialising in waste disposal services for inert, non-hazardous waste, as well as hazardous materials. Their turnover has grown from £3m to 42m since 2011. Their formula obviously works!